My week has been so crazy. I've had something going on every day and on top of that, I have been preparing for a new job! I know, lots of big life changes recently. I was interviewing for this job in February and it was offered to me about 3 weeks ago. After finishing up 2 crazy last weeks at my job at the plastic manufacturing company, I took a few days off to re-organize my life and prepare for the changes. I am now the Marketing Administrator for the Tourism office for my county. The office is only about 15 minutes from my house, so that is really convenient. They have a website that offers hotel promotions and other information about Delaware. I told my boss about Jenna Laughs in my interview and that I had some great ideas for restaurant reviews. Perfect, right? I am excited because most of my professional career has been in finance. I was a bookkeeper for a real estate company right out of college, then I took this last job in Delaware doing accounts receivables. Now I'm in Marketing, which means I get to let my creative juices flow and get paid for it! I am thrilled! And to make it even better, this job is a higher salary and better benefits than my last job. It came at the perfect time! It's just what Michael and I needed to better provide for us when we are newlyweds. So that is my big news! Engaged, planning a wedding, becoming an aunt (my sister is having a baby boy! ), and starting a new, better job. My heart is bursting, I can't even describe it. I am so incredibly thankful. I am enjoying this time in my life so much. And with that, I would like to share some joy with you through a few of my all-time favorite recipes that I've posted. I could eat this every day for dinner. I really could. 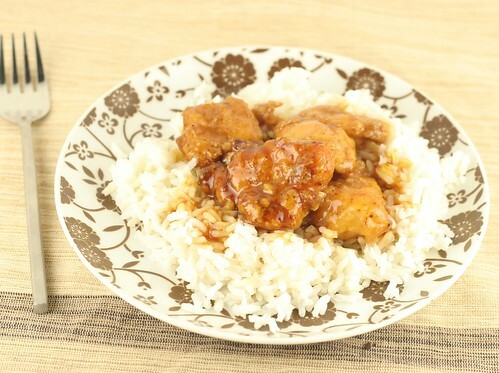 It's crispy, sweet, slightly spicy and loaded with delicious orange flavor. Poured over plain white rice, it's out of control. 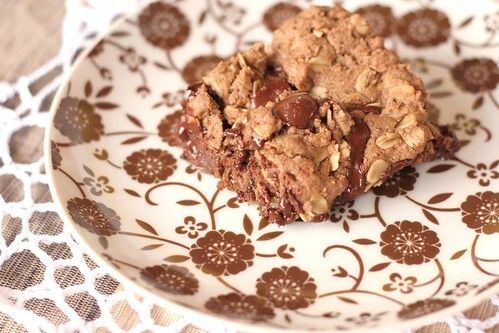 These "snack bars" are actually healthy - loaded with whole oats, flax seed, wheat flour and unsweetened cocoa powder. Served warm, they are so creamy and delicious. This saved me from an entire week of eating chicken, which I don't mind... but having something different was wonderful. 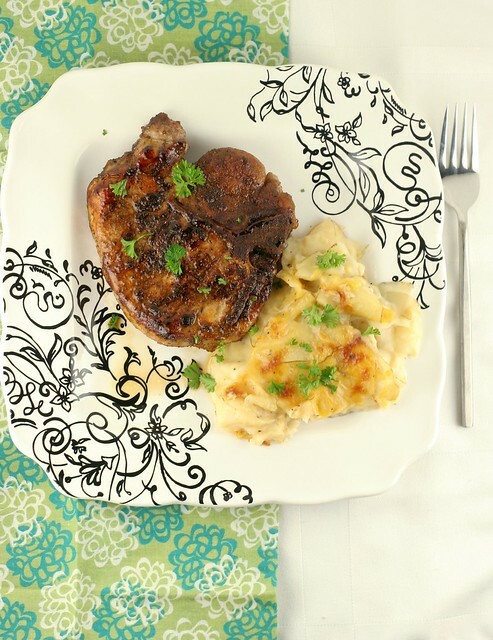 The spice rub is so easy and adds a really complex flavor to these pork chops. 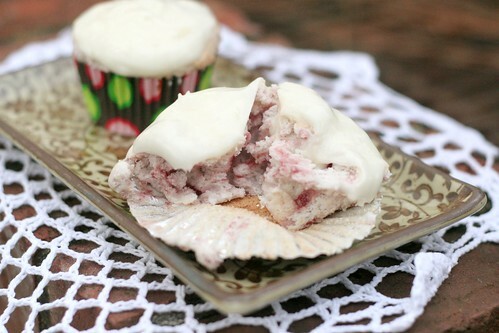 These cupcakes are light, fluffy and full of fresh fruit flavor. The lemon cream cheese frosting adds the perfect creamy texture. I think they could be some of your favorites too. I will be back with new recipes soon! Welcome, welcome! Told you I'd be a regular ;) Really though, in case I didn't tell you enough today, SO excited to have you on board! See you tomorrow for girls' day!! Okay...it looks like you and I are about to have a lot more in common. I work in press and marketing at Clear Space Theatre Company. We'll probably be in contact very soon! Congrats!!! !